Home Business Corporate Affairs Are your emails building brand trust? 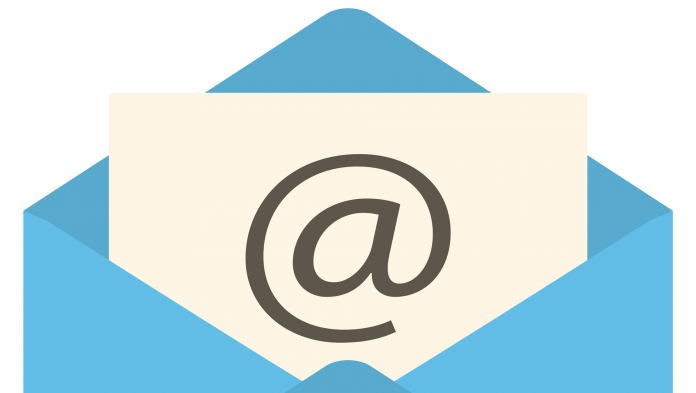 Are your emails building brand trust? We’ve all received emails that were typed up in comic sans, have a hand holding a feather quill as part of the email signature and end with a motivational quote or bible verse. Often employees within organisations treat email as their own personal space, but it is an important business tool that provides an opportunity to build brand trust with your customers. Particularly as email continues to be the most widely used communication tool for businesses. While employees aren’t consistently trying to damage the brand, these emails do dilute the brand and even cause reputational damage to the organisation. The key to establishing a brand and building trust is consistency. In the case of emails, it is critical that every email sent from the organisation aligns to the brand. This means the font type, font colour, tone, logo, branding and email signature should be consistent across the organisation. When used correctly, emails can help to build a company’s brand amongst its employees, customers and potential customers. To achieve this, all emails sent to both internal and external audiences should meet the criteria listed below. It’s important to remember that all internal emails can be sent to external audiences and should follow the correct branding standards too. A standard email signature design should be used across the entire organisation and include visual elements such as the logo but also the organisation’s primary fonts as this sets the email apart from other brands and becomes a marketing tool. These signatures should be consistent across the organisation but meet the requirements of different business units and regions. For example, the signature could include different contact numbers for different departments so that customers can contact the correct department to meet their specific needs. Relevant information about the company and the sender, such as name, title, telephone numbers, website address, physical address and even social media details should also be easily available from within the email signature as this adds an additional layer of verification but also helps establish trust amongst recipients. Where someone writes on behalf of someone else, this should also be noted to further establish trust with the recipients. Trust and credibility can also be gained and enhanced by ensuring there is a mechanism of verification for example including a click through from the email signature to a page which includes an image of the sender as well as their relevant experience. It is also important that these email signatures are tamperproof to prevent employees from changing job titles, for example, but should provide flexibility to make changes to signatures as necessary. HTML signatures are often used by businesses; however, they can present a security risk and also aren’t able to prevent employees from making changes to their details, which can present a risk to the organisation. Equally important is that email signatures display consistently across multiple devices and platforms to build trust with recipients. Every email that is sent out should contain a disclaimer to protect the company from possible risks. To ensure this happens, disclaimers can be included as part of the email signature to protect the company from possible risks. Depending on the department within an organisation, there may a need to tailor the disclaimer to specific needs, for example, finance departments may require different disclaimers to legal departments. For global organisations, each jurisdiction would need to have a disclaimer that adheres to the legal requirements of the country. To prevent the email from getting too long, different email signatures can be used for new emails and reply emails, both of which should include the disclaimer. Every organisation uses a specific font for their emails which aligns to the brand. In many instances, larger organisations design their own fonts to ensure uniqueness and reinforce their brand in the market. The colour of the font is also very important as this is one of the most memorable components of a brand. The colour scheme used in emails is critical to establishing brand trust amongst your audience as it is one of the first things the recipient will recognise from your brand after the logo. When receiving emails, recipients will often notice the font and colour before they start to read the content. By keeping the font consistent in terms of type, colour and size, customers will quickly recognise that emails come from your organisation. A final visual element within emails is the email banner. These banners provide an opportunity to further build brand trust while informing the recipient about campaigns and promotions that could be of interest to them. Email banners should incorporate all the same branding elements of the email from font colour and type through to the logo used. They should also be quick and easy to edit so as to accommodate any changes to campaigns or promotions as well as to tailor the content according to particular customer needs. It is important to note that these banners can add value to the recipient but they can also annoy recipients if they are not relevant to them. As such banners should be used to get important information out to customers such as VAT changes or company changes and senders should have a line of sight of what they are sending to their customers in an effort to avoid sending incorrect or irrelevant information out. In addition to the visual elements of an email, email content should be written in a consistent brand voice and tone which aligns to the overall brand. This can be achieved by providing employees with pre-approved content but allowing them to personalise the email. This is particularly valuable for employees that have long-standing relationships with their clients and want to ensure that they are providing the correct information without neglecting the personal touch. As with the email content, the correct attachments should always be included with the emails, this means that documents are branded correctly and the content has been pre-approved and is accurate. Incorrect or outdated documents can be costly to the organisation, have possible legal implications and erode brand trust amongst customers. Social media links are often included in email signatures for customers to find out more about the organisation and read about its latest news and developments. It is important that the social media links included on email signatures direct recipients to the corporate social media accounts rather than to employees own personal pages. To build brand trust with your employees and customers, every single email sent from your organisation should have consistent branding. It will also ensure that both employees and customers get a consistent experience from all emails regardless of who sends it. As fraudulent emails are of concern for many recipients, consistently branded emails give customers peace of mind that the emails sent from your company did, in fact, come from your organisation. Verification tools can help provide an extra layer of security and give your customers added peace of mind that the emails they receive from your organisation are authentic. With companies using emails as a primary tool to communicate with their employees and customers, it is valuable to use them as an opportunity to build brand trust with your recipients. You can achieve this by using tools to help simplify the process and incorporate the branding from email inception to sending.